The long-term effects of trauma on military service members, veterans and our civilian first responders — the police, firefighters and EMS personnel — causes significant stress that not only affects them, but also their families. We do that through professional evidence-based programs proven to restore trust and build resiliency in the family unit. These programs are provided at no charge to all post 9-11 military families including the National Guard and Reserves. We also use our programs to help America’s First Responder families, the police, firefighters and EMT personnel; as these families also share identical problems. The unpredictable schedules and a “rollercoaster life” of First responders, from home to high stress and back, causes their families and careers to suffer. They need the specialized help and assistance with coping successfully so their job requirements are met, careers stay on track and most importantly, their family bonds remain strong. 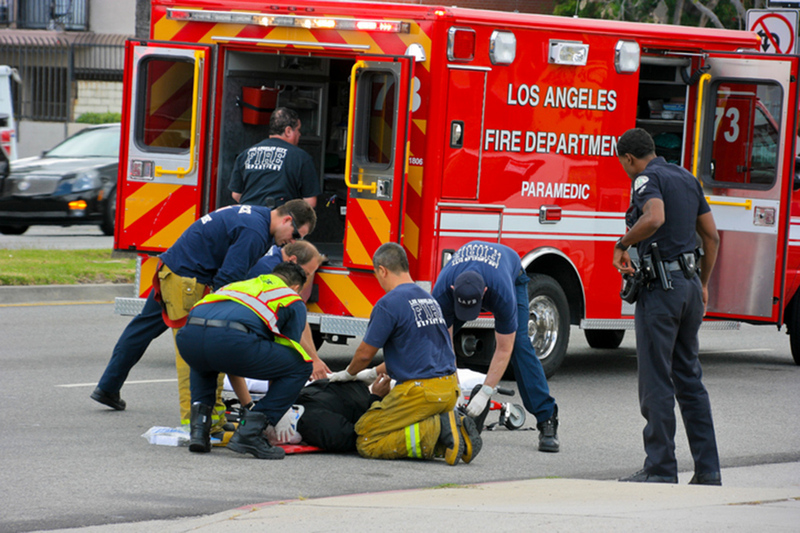 First responders are the first on the scene and often face challenging, dangerous, and emotionally draining situations. Moreover, they are exposed to job hazards that often results in a broad range of health and mental health consequences. Repeated exposure to violence, accidents and disasters, death, grief, injury, pain, loss, direct exposure to threats to personal safety, long hours of work, frequent shifts and longer shift hours, poor sleep, physical hardships, and other negative experiences takes its toll on the individual and their family members. These heroes suffer from depression, stress, PTSD, suicide attempts or thoughts, substance abuse; conditions that also affect their families. Moreover, organizational culture often is at cross purposes with getting help, causing any admission of weakness to be suppressed and bottled up inside. Suppressing these feelings only makes them worse and causes divorces, family problems and maladaptive behaviors. Effective solutions to help first responders exist and includes improving education at all levels of the problem backed with a range of support programs. Effectively addressing first responder health and psychological well-being reduces the risk of burnout, fatigue, or other behavioral health issues associated with being overworked, uncertain, or stressed by the demands of their job. An estimated 44% of our Military heroes transitioning to civilian life experience major difficulty. They are dealing with the lack of structure, finding a job, resolving and letting go of haunting memories. Health issues, family breakups, depression, and a sense of loss impact a successful integration back into civilian society. Left untreated, veteran and suicide and divorce rates continue to climb at a far greater rate than civilian counterparts. Conservative studies from the Veterans Administration show that of returning service members, up to 14% have depression, up to 35% have PTSD, up to 19% have traumatic brain injury, and up to 35% have other mental health risks or concerns. These challenges make combat veterans twice as likely to divorce as non-combat veterans. These are severe problems that have had few proven solutions — until now. W2C programs help America’s heroes overcome these and other challenges. Children are affected too and have special needs which are largely unmet. Children of military and first responder families suffer the adverse aftermath of stressors on the marital system due to job or duty requirements (hypervigilance, depression, etc.). Children of military families are continually faced with the unfamiliar: school, teachers, friends, house, and church are always changing. These stressors impact the children, who may feel their security and stability is threatened. These children are quite often left to fend for themselves, due to the “home parent” basically operating as a single parent, and being overextended. Parents may return home with a combat or job related injury, physical or mental illness, or, occasionally, never return home. W2C Programs are tailored to the special needs of each group served. Each has been designed by veterans and first responders collaborating with university and mental health professionals. This has produced programs proven to make lasting improvements in relationships and family members ability to remain resilient and bounce back from stressors. The HLTP equips couples identify and address challenges facing their marriage. This programs teaches couples how to communicate better and effectively deal with issues they face. W2C’s three-phase approach uses a unique evidence-based resiliency program for veterans and their families who are transitioning to civilian life. This program gives the children of our military and first responders the coping tools specific to their needs… so that they “thrive” and not just “survive”. To register for an upcoming program, please see Events.